Mortal Kombat 11 is getting a beta on consoles at the end of March for both Xbox One and PlayStation 4 owners. Mortal Kombat fans are in for a treat at the end of the month, as the fighting game is getting a closed beta when March draws to a close. 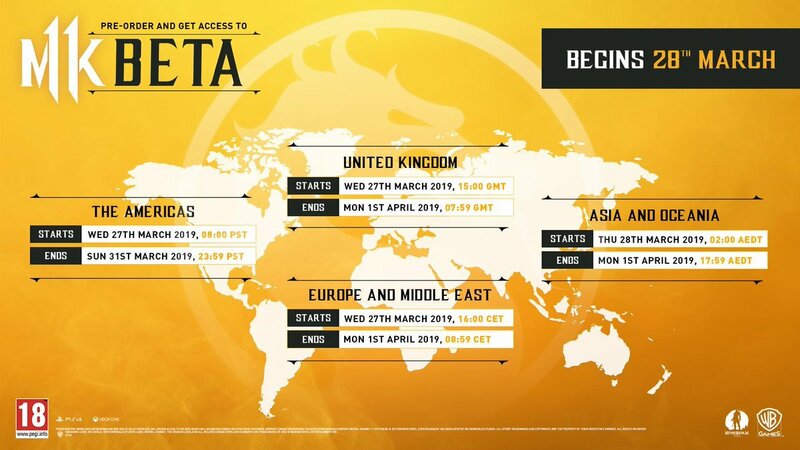 Mortal Kombat creator Ed Boon took to Twitter to announce that the game's closed beta will take place on March 28. It will include various start times based on where players are located, and the only way to guarantee access is by pre-ordering the game now. The beta's announcement went live just after the Mortal Kombat 11 stress test ended. "MK11 online stress test is done. Thanks everyone.... 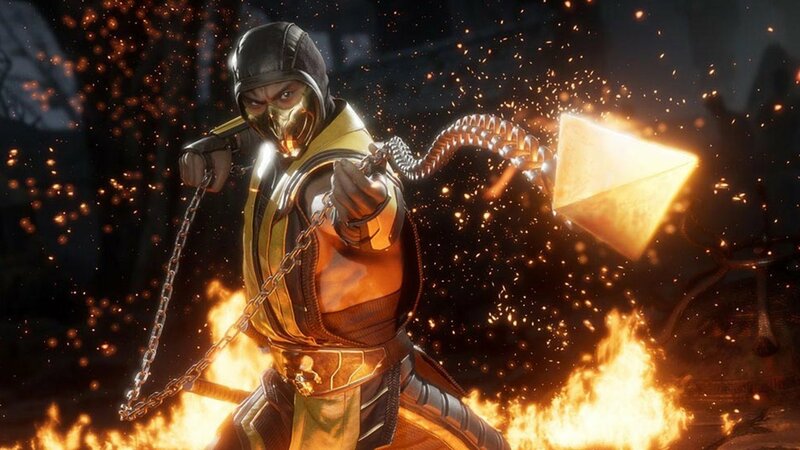 Your feedback will absolutely help us make #MK11 better for when it launches next month," wrote Ed Boon in a tweet, attaching a map with helpful details all about Mortal Kombat 11. The infographic adds details on when players can expect to be able to join in on the beta. While it's scheduled to begin on March 28, some players can actually begin playing on march 27, like those of us in the Americas. The beta is set to end on March 31 for players in that location, though the times and dates will vary everywhere across the globe. Since the Mortal Kombat 11 stress test was limited, this will be many players' first look at the title. The stress test required potential testers to sign up if interested, with a special selection process available for those who would end up being chosen. The closed beta will only require a pre-order to take part, so it will presumably be a much wider pool of testers this time around.